First of all, consider these three GMAT like questions. Try them on your own before reading the post. I will show solutions to these practice questions at the end of this post. 1) Running at the same rate, 8 identical machines can produce 560 paperclips a minute. At this rate, how many paperclips could 20 machines produce in 6 minutes? 2) Jane can make a handcrafted drum in 4 weeks. Zane can make a similar handcrafted drum in 6 weeks. If they both work together, how many weeks will it take for them to produce 15 handcrafted drums? 3) Machines P and Q are two different machines that cover jars in a factory. When Machine P works alone, it covers 1500 jars in m hours. When Machines P and Q work simultaneously at their respective rates, they cover 1500 jars in n hours. In terms of m and n, how many hours does it take Machine Q, working alone at its constant rate, to cover 1500 jars? OK, if these problems frustrate the bejeebers out of you, this is the post for you! You may be familiar with the distance equation, D = RT (“distance equals rate times time”), sometimes remembered as the “dirt” equation. It turns out, that equation is just a specific instance of a much more general equation. In that equation, R, the rate, is distance per time, but in non-distance problems, rate can be anything over time — wrenches produced per hour, houses painted per day, books written per decade, etc. In these cases, typical of work problems, we are no longer concerned with “distance” per time, but with the amount of something produced per time. We use A to represent this amount (the number of wrenches, the number of houses, etc. ), and the equation becomes A = RT. Sometimes folks remember this as the “art” equation. The word “rate” and the word “ratio” have the same Latin root: in fact, they also share a Latin root with the “rationality” of our minds, but that’s a discussion that would bring up to our noses into Pythagorean and Platonic philosophies. The point is: a rate is a ratio, that is to say, a fraction. Technically, any fraction, any ratio, in which the numerator and the denominator have different units is a rate. 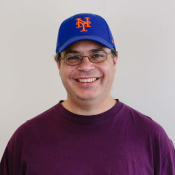 Fuel efficiency (mpg) and price per unit and most baseball fractions (ERA, BA, OBP, SLG, etc.) are rates. Currency rates and exchanges rates are common financial market rates that, ironically, almost never appear on the GMAT —- go figure! Most GMAT rates have time in the denominator, and it’s a rate of how fast work is being done or how fast something is being produced or accomplished. The fact that rates are ratios means: we can solve these problems by setting up proportions and using proportional thinking! As you will see in the solutions below, that’s an extremely powerful strategy for solution. 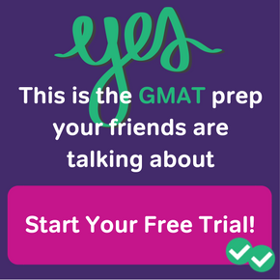 The vast majority of work problems on the GMAT involve two people or two machines and comparisons of their individual production to their combined production. Questions #2 and #3 above are of this form. The questions will often give you information about times and about amounts, and what you need to know is: you can’t add or subtract times to complete a job and you can’t add or subtract amounts of work; instead, you add and subtract rates. Here A and B can be two people, two machines, etc. The extension of this idea is that if you have N identical machines, and each one works at a rate of R, then the combined rate is N*R.
With just these three ideas, you can unlock any work problem on the GMAT. At this point, you may want to go back and give another attempt at those three practice questions. Follow carefully how they are applied in the solutions below. 1) “Running at the same rate, 8 identical machines can produce 560 paperclips a minute.” That 560 is a combined rate of 8 machines —- 560 = 8*R, so the rate of one machine is R = 560/8 = 70 paperclips per minute. “At this rate, how many paperclips could 20 machines produce in 6 minutes?” Well, the combined rate of 20 machines would be Rtotal = 20*70 = 1400 pc/min. Now, plug that into the “art” equation: A = RT = (1400)*(6) = 8400 pc. Answer = C.
BTW, notice in the penultimate step, the universal fraction strategy: cancel before you multiply (Tip #3: https://magoosh.com/gmat/2012/can-i-use-a-calculator-on-the-gmat/. Jane and Zane need 36 weeks to make 15 drums. Answer = B. “Jane can make a handcrafted drum in 4 weeks. Zane can make a similar handcrafted drum in 6 weeks.” Let’s find the LCM of 4 and 6 — that’s 12 weeks. In a 12 week period, Jane, making a drum every 4 weeks, makes three drums. In a 12 week period, Zane, making a drum every 6 weeks, makes two drums. Therefore, in a 12 weeks period, they produce 5 drums between the two of them. If they make 5 drums in 12 weeks, they need triple that time, 36 weeks, to make 15 drums. Therefore, Jane and Zane need 36 weeks to make 15 drums. Answer = B. 3) This is a particularly challenging, one because we have variables in the answer choices. I will show an algebraic solution, although a numerical solution (https://magoosh.com/gmat/2012/variables-in-gmat-answer-choices-algebraic-approach-vs-numerical-approach/) is always possible. Since the number “1500 jars” appears over and over, let’s arbitrarily say 1500 jars = 1 lot, and we’ll use units of lots per hour to simplify our calculations. We now know Q’s rate, and we want the amount of 1 lot, so we use the “art” equation. Next, if we want to add these two fractions together, both fractions require the same denominator. So, we’ll have to multiply “m” to numerator and denominator of “1/n”. We will also multiply “n” to the numerator and denominator of “1/m”. Remember, we aren’t changing these two individual fractions (i.e., (1/n) and (1/m)). We are just rephrasing them. For example, “m/(nm) = 1/n” if we cancel out the “m” in the numerator and denominator. Okay, now that the two fractions have the same denominator, we can subtract them together. Your theories and concepts always help me alot , be it any topic!! Here is what I did, and I arrived at the correct answer. I set the equation up as you did initially, but instead of using a proportion, I cross multiplied between 9/7 and 105/1. Since we are making 9 staplers every 7 minutes, how many staplers would we make in 145 minutes. Thus I just multiplied using these two numbers and in fact I did simplify 7 and 105 to get 15. From there 15(9) = 135. The next thing you mentioned is not to cross multiply so I got concerned whether this approach was feasible or not. Did I just get lucky or is setting up a proportion totally different? Are these enough for all WRT problems that appear on GMAT? I’m glad you found this helpful. 🙂 I’m going to give you a piece of advice. Don’t ask the question “Are these enough?” or “Is this enough?” or “Can I consider myself done after this?” Those are the questions of mediocrity, and they consistently lead to limited performances. Consider the questions “What else can I understand about this?” and “How can I understand this topic more deeply?” and “What else can I do to improve myself?” Those are the questions of excellence. When you follow those questions and live by them, you are able to bring your best to any challenge. 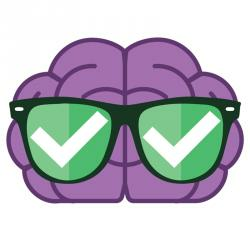 I know you cover frequency of GMAT topics on this website, but in terms of the OG 13 how many 700+ level questions does it have for the Quant and DS respectively? Also I see people posting Quant Scores of 51 how is this possible if there is only 37 Quant Questions? First of all, please understand that the entire idea of a “700+” question is very vague, not at all well defined. 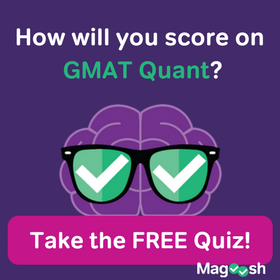 Roughly, it means questions that are among the hardest one might see on the GMAT. To know the exact level of any particular question, we would have to know the percentage of folks who get the question correct. If fewer than 10% got the question correct, then maybe it could be called a “700+” question. I don’t think many questions in the OG fit this description — maybe 10% or 15% of the hardest ones. The score of 51 on Quant is a scaled score that represents a percentile rank. What matters is not simply how many questions one gets right, but the difficulty level of each question. The computer does a very complicated calculation to get from one’s individual correct & incorrect questions to that scaled score. Thank you!! I´ve been struggling with this type of questions and with your explanation I could finally solve them! 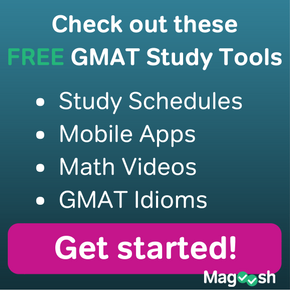 I do the Gmat in one week! Thank you for your kind words. Best of luck to you. I am very glad you found this helpful. Best of luck to you!